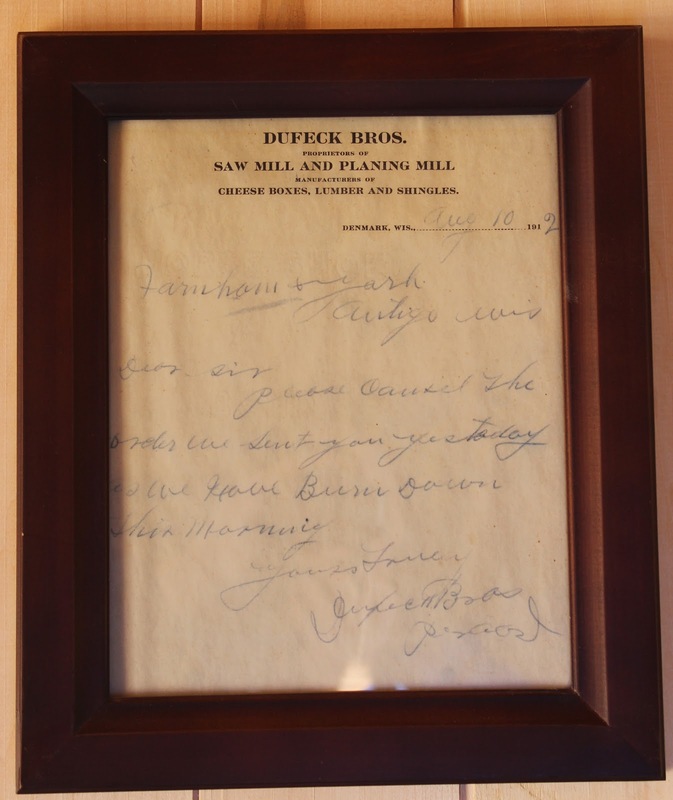 In the early 1900s, the Dufeck Brothers sold a threshing business to buy a cheesbox factory from the Albrecht Brothers near Stangelville. In 1910, Albert, Martin, Simon and Jim Dufeck decided to move to Denmark to take advantage of the railroad locating in this area. The first wood building on this site was destroyed by fire August 10, 1912. The main building was then rebuilt with 10″ concrete walls and 16″ concrete ceiling to support the sawmill on the second floor. Logs would be hoisted to the second story to be sawed into boards, loaded on carts and rolled down the tramway, stacked outside and air dried. The lumber was then brought back into the mill to make wooden shingles and cheese boxes, and returned to the second floor to be dried before shipment. The two-story frame building in front of the factory was a boarding house for the workers, who were mostly sons of farmers in the surrounding area. They would come into town for a job and stay during the week, and during the winter months would go Up North to log. The boarding house was run by Kate Dufek, only sister of the Dufeck Brothers. The second generation of ownership was Earl Dufeck, Simon's son, and Albert Dufeck, Albert's son. Earl died in 1972 and Albert became sole owner. Today, Albert's son, Paul, and his wife, Jeanette, own the mill and, after a century of business in the same concrete building, continue to manufacture cheeseboxes, pallets for local industries and their newest line of decorative wooden trays, crates, baskets and flower containers. The site pictured above was taken from a pen and ink drawing done by Jim's daughter, Antoinette Dufeck, in the 1930s. The marker is located at the entrance to Dufek Manufacturing Company, located at the intersection of Maple Street and Jorgensen Street, at 210 Maple Street, Luxemburg (Denmark), Wisconsin 54217.
used with permission of Dufek Manufacturing Company. 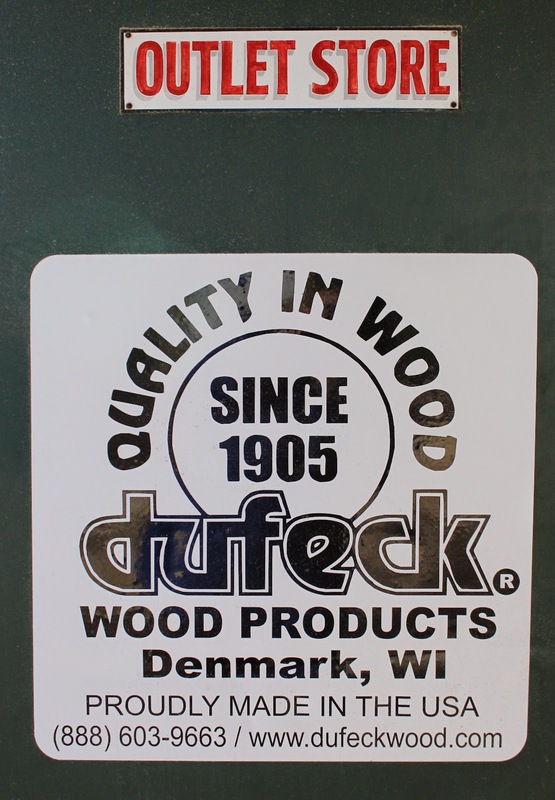 Dufect Manufacturing is located in Denmark, Wisconsin.